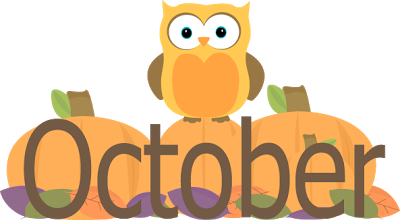 This is an ongoing October list that we will update throughout the month as new events and activities come up. Please come back and check periodically so you and your family don't miss out! Know of an event or activity we missed? Let us know! Message us or post on our Facebook wall. -Children’s Bargain Basement Sale at First United Methodist Church CC from 12 PM to 6 (full price). Twice a year gently used items for infants to preteen are consigned for sale. Proceeds provide additional funding for children’s activities, especially Vacation Bible School. Accepting all Credit and Debit Cards! Volunteers NEEDED! Volunteers are invited to the Pre-Sale. Child care provided for volunteers. For more information, Contact: Stacye McCain, ext. 327 or smccain@ccfumc.com. First United Methodist Church Corpus Christi Gym, 900 S Shoreline Blvd. -Children’s Bargain Basement Sale at First United Methodist Church CC from 8 AM-1 PM (Half-Price ). Twice a year gently used items for infants to preteen are consigned for sale. Proceeds provide additional funding for children’s activities, especially Vacation Bible School. Accepting all Credit and Debit Cards! Volunteers NEEDED! Volunteers are invited to the Pre-Sale. Child care provided for volunteers. For more information, Contact: Stacye McCain, ext. 327 or smccain@ccfumc.com. First United Methodist Church Corpus Christi Gym, 900 S Shoreline Blvd. -Radiology Associates Pink Pumpkin Patch Sale from 9 a.m. to 2 p.m. Pumpkins will range from $20 to $30. Also the event includes the sale of breast cancer awareness items such as t-shirts, bracelets, ribbons. There will be moon jumps for the kids as well as fun for everyone! All proceeds benefit Making Strides Against Breast Cancer. KIII studios, 5002 SPID. For more information call 361-561-3014 or or 561-3157. -Texas A&M University October SOAR from 10am-12pm. YSOAR Science Saturday for 6th-8th grade students focused on Geology. The Texas A&M University-Corpus Christi Geology Club will be in their lab using microscopes and teaching youth about geology and geoscience careers. This event is for 6th-8th grad only and space is limited to 25 students. Registration is required. Visit http://soar.tamucc.edu to register. TAMU CC Center for Science. -Fitness Sunday by the Junior League of Corpus Christi, Inc. (JLCC) from 8:00 am to 10:00 am. After the Corpus Christi Bridge Walk. Water balloon baseball for the kids. Free for the whole family at Heritage Park. -Northwest Senior Center Annual Fall Festival from 11:00 a.m. to 4:00 p.m. Children’s games, country store, cake wheel, auction and food. 9725 Up River Rd. Call (361) 241-3956 for more information. -Ben F. McDonald Public Library 2nd Annual Music of South Texas Celebration from 2:00 PM to 5:00 PM. 4044 Greenwood Dr. Call (361) 826-2356 for more information. -51st Annual St. Patrick School Halloween Carnival from 5:30 pm to 10:30 pm. There will be a haunted house, food, bounce houses, carnival games and rides, silent auction, hay rides and music by Another Level. 3340 South Alameda St. For more information call 361-852-1211. -Del Mar College Viking Fall Carnival from 5:00 pm-10:00 pm. Bones will clatter and teeth will chatter as Del Mar College holds its annual spooky fun fair featuring goblins and games, prizes for best costumes, and food and fun for everyone. Sponsored by Del Mar College’s Student Leadership and Campus Life Office and DMC registered student organizations, participants can expect a howling good time while helping student groups raise funds for their organizations and the worthy community causes they support. Harvin Student Center, Del Mar College East, Ayers at Kosar For more information, call the SLCL Office at 698-1279. -Southern Monster Truck Showdown at 6 pm. “Outdoors is where monster trucks were MEANT to be and this huge track will make for one heckuva show!! Monster trucks competing in wheelie contests, racing and "No time limit" freestyle competitions. Plus, freestyle motorcross riders will fly through the air doing all sorts of tricks and stunts, including the BACKFLIP!” Kids (age 3-12) are $10 presale or $12 on show weekend. Adults are $15 presale and $18 on show weekend. Tickets are all-inclusive, meaning the "Fan Appreciation Party is included and parking is free, there are no hidden charges like other shows. Presale tickets can be purchased on www.ccspeedway.org all the way up to Midnight on Oct. 17. -Owen R. Hopkins Public Library Halloween trick or treat at 10:30 AM. Story, Halloween songs and fingerplays, craft (trick or treating bag) and trick or treating around the library (inside building). Wear your costume! 3202 McKinzie Rd. Call (361) 826-2350 for more information. -Dr. Clotilde P. Garcia Public Library Trick-or-Treating in the Library at 2 pm. Annual Halloween fun - games, face painting, craft, story, trick-or treating. You may also participate in their 1st costume contest - please dress as your favorite storybook character. 5930 Brockhampton. Call (361) 826-2360 for more information. -CC Parks and Recreation and the Texas Association of Black Personnel in Higher Education 3rd Annual Girls Stepping Out in the Right Direction from 9 am to 3 pm. The purpose of this event is to educate young ladies in our community so that they will become informed and marketable leaders. Making wise choices is at the core of this education—choices that will positively impact their lives now and their futures. Participants will have the opportunity to learn about a variety of topics such as health, education, leadership, and the arts. Community guest speakers will make presentations to the different age groups on topics such as: college life experience, family and domestic violence awareness, interviewing skills, self-esteem, computer safety, nutrition, respect, and bullying. FREE breakfast and lunch is included for all registered participants. (No transportation will be provided. )This is a FREE event for girls, ages 6-18. REGISTRATION is FREE and spaces are limited through October 16. Solomon Coles Recreation Center, 924 Winnebago Street. For on-site registration, the form must be submitted to Solomon Coles Recreation Center by 6pm on October 16. To register online visit https://register.ccparkandrec.com/Default.aspx?mode=sc&scid=264&id=24&cid=34 and select REC-GIRLS. For more information, call 361-884-9552, Monday – Friday from 3pm – 7pm. -Flour Bluff Market from 9 am to 5 pm. Booths with all kinds of items from crafts, art, pottery, foods, etc. Petting zoo from 12 to 3 pm. 9450 SPID (Oso Bridge) Call 361-657-0233 for more information. -Art Museum of South Texas Moms & Tots (and sometimes Pops! ): Happy Halloween Houses from 10:00 to 11:30 AM. Preschoolers and a parent (or other adult caregiver) are invited to celebrate Halloween with us! Come in a cute (or creepy) costume to make Happy or Haunted Halloween Houses Ages 2-5. Each young artist must be accompanied by a parent or adult. RSVPs and payment two business days in advance are required. $10-members/$20-nonmembers or email AMSTed@tamucc.edu (special price). For more information, please call 361-825-3504. -Boys & Girls Club of Corpus Christi 2013 Halloween Carnival from 6 to 8 pm. Free event. They are accepting candy donations. If you would like to donate or for more information contact Lisa or Amanda at 361-853-2505 or email lrsaenz10@gmail.com. 3902 Greenwood Dr.
-Baker Middle School Broncfest from 4 pm until 8 pm. Haunted house, games, food and more. Admission is free and tickets are $1. 3445 Pecan St.
-Ella Barnes Elementary Starfest from 6 to 9 pm. Fun and food for all! Bracelets are $10; there will be face painting, cake walks, games, and carnival rides. Tickets are 50 cents each and most games are 1 or 2 tickets. Everyone is welcome! 2829 Oso Pkwy. -St. Pius 30th Annual Halloween Carnival from 5:30 to 10:00 PM. There will be food, drinks, games, inflatables, silent auction, live music, dunking booth, obstacle courses, cake walk and a benefit drawing. 737 St. Pius Dr. For more information call (361) 992-1843. -Incarnate Word Academy's Fall Fun Night from 5:00 PM - 8:00 PM. This year’s theme is Halloween Bash! There will be a rock-climbing wall, inflatables, petting zoo, face painting, and much more. Carnival admission is $8, and spaghetti dinner plates are $7. For more information, visit www.iwacc.org/FallFunNight. -Texas Sealife Center Haunted Trail from 8 to 10 pm. There will also be activities for the faint of heart and kiddos to do inside the building. All proceeds go to the Texas Sealife Center. Trail is rated PG-13 but they will have candy, games, education animals and activities for the younger ones inside the building. $5.00 per person. -First United Methodist Church PipeScreams at 7 p.m. A free Halloween concert and costume parade by Christ in the Arts and the American Guild of Organists. There will be a costume parade and prizes will be awarded for the best adult and best children’s costume. Local celebrities will be the judges. Church sanctuary, 900 S. Shoreline Blvd. For more information call 361-884-0391. -CC Museum of Science and History Kids Corner from 11:30 am - 12:30 pm. Join us as we celebrate Avadro’s number (6.02 x 1023) the basic measurement in modern chemistry. This year’s Mole Day theme is AniMole Kingdom, join us in your best AniMole costume and learn all about Avadro and chemistry. Nature Challenge from 10:30 am to 12:30 pm. Participate in the Eco Tales Program at the museum, which includes time in our Xeriscape Garden. During the program participants will explore the different plants and animals that also call South Texas home. 0-8 – Plant parts picture 9-17 – plant identification chart Adult make an outline of your own xeriscape garden. -Anita & W.T. Neyland Public Library Fiction and Flicks at 2 p.m. Join the young adult book discussion of the Hunger Games by Suzanne Collins then watch the movie. 1230 Carmel Pkwy. Call (361) 826-2370 for more information. -Cheer Clinic by King HS Cheerleaders from 9 am – 1 pm. Fundraiser for KHS Cheer for ages 4-14 invited. Registration opens at 8, clinic starts at 9; no meals served - eat before coming and bring a lunch. Participants will perform for family and friends at 12:45 pm. T-shirt and poms included. To pre-register, complete form and take fee to KHS office. Check or money order only (CCISD policy). Checks payable to KHS Cheerleaders. $35 before 10/26, $40 day of event. Contact Cheryl Berny - Cheryl.berny@ccisd.us for more information. -October Island Moon Market from 9 to 6 pm. One-of-a-Kind Gifts, handmade furniture, garden decor, home decor, clothing , ceramics, childrens books & toys, food, and new vendors each month. Parking is free. Held on North Padre Island at the Michael J. Ellis Beach & Sea Wall in the Windward Parking lot. 15002 Windward Drive. www.islandmoonmarket.com or www.facebook.com/islandmoonmarket For information contact islandmoonmarket@gmail.com or call 361-403-4032. -Toys ''R'' Us Monster 500 Launch Event from 12 noon – 5pm. "Calling all boys and ghouls! Join us for our Monster 500 kickoff event at your local Toys“R”Us store*! Check out the newest, exclusive, racecar toy line featuring spooky playsets like the Graveyard Gauntlet and Toxic Terror Trap! Each vehicle in the Monster 500 line comes with a unique trading card which unlocks a special part of the free Monster 500 app, available on iPhone and Android. Complimentary Monster 500 giveaways** will be available to all who play the game in-store! **All giveaways and event materials are available while supplies last and will be distributed to participating children only. Limit one per child. Quantities limited; no rain checks. ** Parental supervision required at all times. 1220 Airline Rd. For more information, call (361) 992-2429. -Thomas J. Henry Bark in the Park Howl-o-Ween Pet Costume Contest and Expo from 2:00 PM to 7:00 PM. This is a family-friendly community event benefiting local animal shelters. Enter your primped pooch in the contest for a chance to win prizes and to help support community dog-centric initiatives. Don't have a dog? No worries- come on down anyway to mingle with friends and family and enjoy a good laugh, music, concessions, and fury canine entertainment on a pleasant autumn Corpus Christi evening by the bay. Bark in the Park is a community event benefiting Corpus Christi and Nueces County animal shelters. This year, we have teamed up with a number of local businesses and organizations to bring you an even bigger event which includes a pet expo and adoption drive. Cole Park, 1526 Ocean Dr. Visit http://thomasjhenrylaw.com/giving/bark-in-the-park/ for more info and to register your pet. -Kings Crossing Church of Christ Trunk or Treat from 5-7 PM. Come bring your children to a safe environment and enjoy Trick or Treating, cake walk, face painting, bounce house, and magic carpet rides. The Corpus Christi Fire Department will have a Fire Truck for display, there will be hot dogs, chips and Blue Bell Ice Cream served. Blood mobile will be on hand from 4 to 7 pm. 5901 Yorktown. Call (361) 992-8251 for more information. -Church of Reconciliation Day School Haunted House from 5 to 9 pm. They are featuring a Haunted House for toddlers from 5:00 pm to 7:00 pm and a House of Terror for teens from 5:00 pm to 9:00 pm. There will also be an inflatable moon jump, hay ride, bake sale, and other amusements. Trick-or-Treaters will be blessed at 7:00 pm. Tickets will be sold at the entry for participants to use on rides and events. Any profit will go to the Day School. 4518 Saratoga Blvd. For more information call (361) 852-9677. -Sacred Heart Church Octoberfest Family Fun Festival from 11:00 AM - 8:00 PM. Octoberfest will include BBQ brisket plates, Mexican nachos, hotdogs, frito-pies, sausage wraps, fruit cups, DJ Noe, Bingo, moonwalk, games, Magic the Clown, Singer from Robstown, Allison Vela performing from 3 to 4 p.m. A live band will perform from 6 to 8 p.m. Will be held at Central Catholic School Grounds, 1218 Lipan St. in Corpus Christi. For more information, please call (361) 883-6082. -St. Philip the Apostle Halloween Fall Festival from 6 to 9 pm. Family fun featuring a costume contest, silent auction, food, petting zoo, hay ride, and moonwalk. 3513 Cimarron Blvd. Call (361)991-5146 for more information. -Travis Baptist Church Trunk or Treat from 6:00 to 8:00 PM. A safe and fun alternative to door to door trick or treating. 5802 Weber Road. -First Baptist Church, Corpus Christi Noah's Ark - Fall Festival from 5:30 to 8:30 pm. Fun for the whole family! Games, door prizes, inflatables, pony rides, food, and more. Most tickets will be 25 cents. Get 2 bonus tickets if you bring a can of food (10 tickets max per child) First Baptist Recreation Center, 3115 Ocean Dr. For more information call (361) 888-8228. -Journey Church of Corpus Christi Trunk or Treat from 6:00 p.m. - 8:00 p.m. The event will hold two separate contests for attendees to participate in. A costume contest will include categories such as family groups & individual, biblical, super hero, cartoon / Disney, story characters, clowns, animals, funny, not scary. Prizes will also be given for best decorated trunks filled with your own candy. The free event will also feature a Cake Walk, bouncies, clowns, face painting and more. 12150 IH-37 at Calicoatte Rd. For more information call 361-242-2272. -The Believers' Fellowship Trunk or Treat from 6:00 to 8:00 p.m. Live Music Snow Cones Hot Dogs Popcorn Bounce House. “Free event for the community on Halloween!!!! Bring your family and friends to Believers Fellowship Church Halloween night”. 4420 S. Staples. For more information call 361-334-9723. -Trunk or Treat at Padre Island Baptist Church from 6:30 pm - 8:30 pm. Fun, safe, and free event for the children. Moon Jumps, Chili Cook-off. 14253 S. Padre Island Drive on the Island (PIBC Parking Lot Across from Whataburger). Call 361-949-8273 for info. -Trinity Worship Center Harvest Fest from 6 to 8 pm. Games and prizes! 7010 Holly Road. 361-991-4444 for more information.